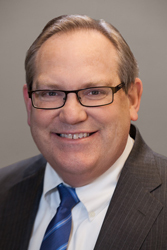 Jeff is a Partner at Sassetti LLC, and brings over 30 years of audit and tax experience to the firm. Prior to joining our firm over twenty years ago, he worked on the audit staff of the international firm Grant Thornton. Today, Jeff assists not-for-profit organizations, individuals, and privately held businesses. Jeff enjoys building relationships with each client, whether advising on tax matters or helping organizations, to present their financial results in a meaningful and effective manner. Jeff graduated from the University of Illinois at Urbana-Champaign and holds a Bachelor of Science in Accounting and Economics. He is a member of the AICPA, ILCPAS, and numerous associations and not-for profit organizations. He currently serves as treasurer for the Pleasant Home Foundation Board of Directors. Jeff grew up in a musical family and is passionate about classical music and classic rock. He has sung in several choral groups throughout his professional career. He and his wife, Linda, enjoy traveling and spending time with their five adult children.